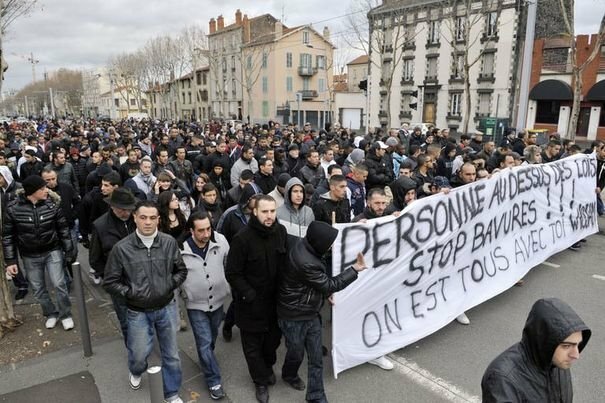 A FRENCH city has erupted into rioting after the latest instance of police brutality and the predictable cover-up. 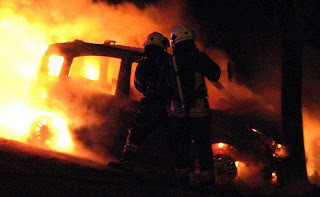 Some 30 cars were torched in Clermont-Ferrand on just one night as locals expressed their anger at the fact that Wissam El-Yamni, aged 30, was still in a coma after being arrested on New Year's Eve and suffering a 'heart attack' for unknown reasons while in the hands of the cops. He had no medical history of heart problems and had injuries to the neck, report French media. Wissam died on Monday this week, prompting the authorities to flood the Gauthière area with yet more police to try and quell further uprisings. A police helicopter hovered over the estate, shining searchlights into residents' flats in a blatant show of intimidation. Keep up to date with the global insurrection - follow VM on Twitter.